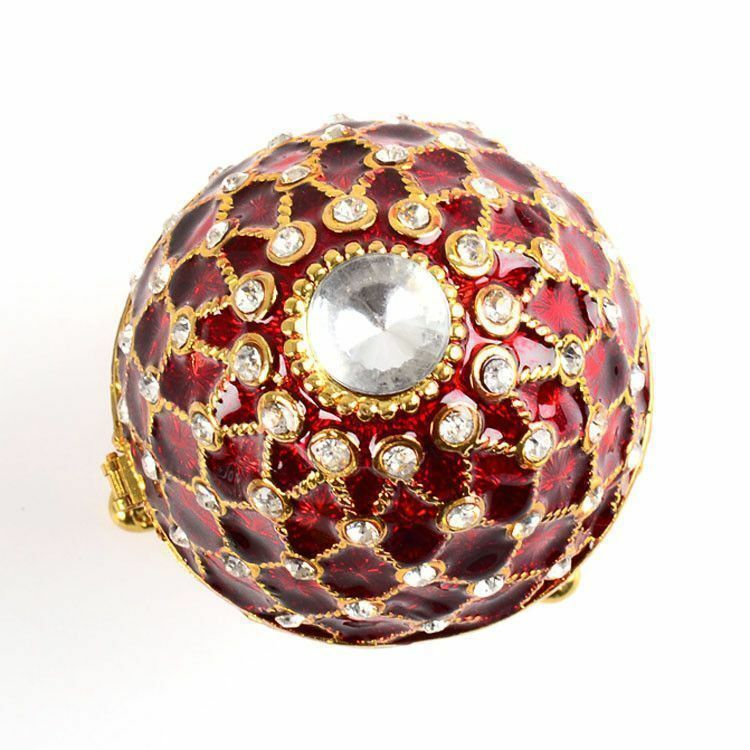 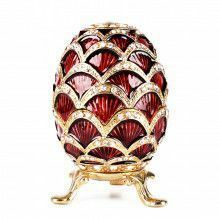 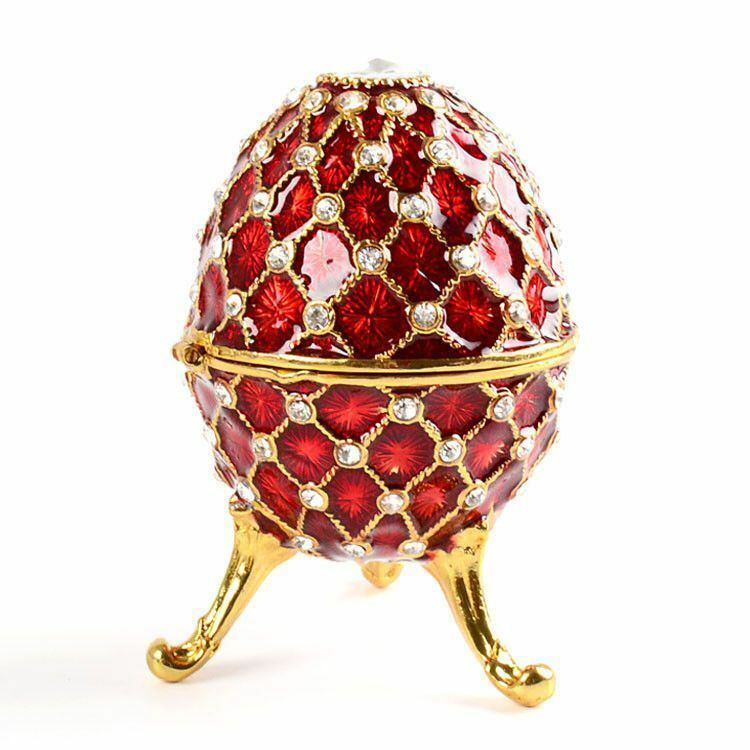 Decorated with clear Austrian crystals, this royal red Faberge style egg keepsake box is sure to delight! 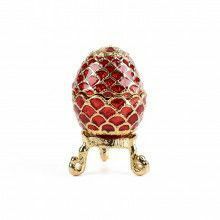 It is fairly large at about 3 3/4" tall and about 2 1/2" wide. 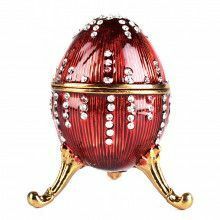 The inside of this egg is bright yellow and it opens and closes easily with the help of a magnet clasp. 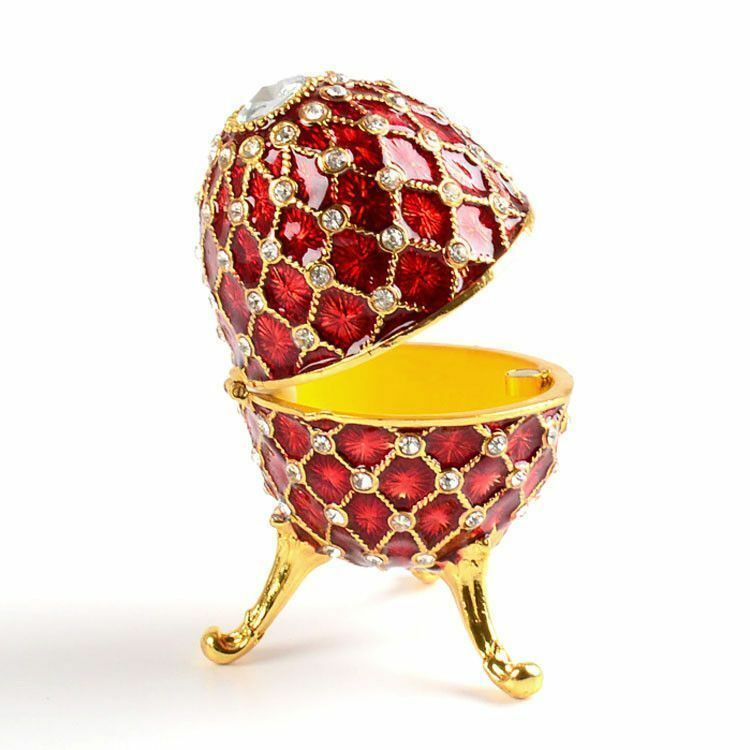 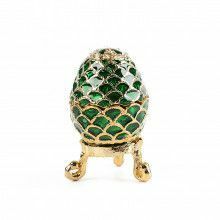 This Faberge style egg makes a great gift and already comes in a satin-lined gift box.